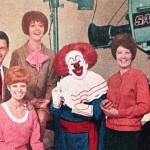 A collection of random images from over 50 years of television. New pictures added periodically. 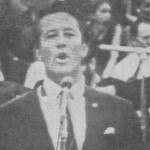 I remember appearing on Tell The Truth end of 1968 the host may have been Michael Williamson,very exciting at the time good memories. 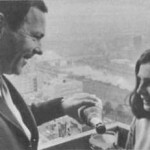 I was also on tell the truth in Melbourne 1968. I would love to get video tape of the show. 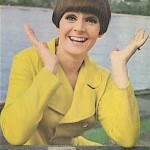 In the late 60’s my sister appeared on a childrens variety show for channel seven Sydney does anone now the name of the show? 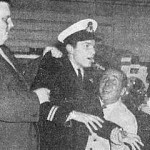 I am looking for an episode of a game show from the 1950s early 60s called come as you are. My mom was on it and won some prizes and if there is footage I would like to see it. Hi Gail. 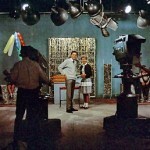 We don’t have an archive of TV programs and sadly a lot of old program material has not been kept by TV stations. 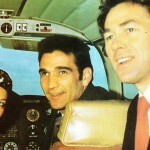 Also a lot of those early programs went to air live and were never recorded. 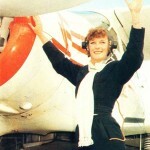 I appeared as an extra in Skyways as an air hostess. I was wondering if any of the Skyways series was kept? I was also an extra at the airport as a passenger and a union member at a meeting. Is there any chance of obtaining a copy of the series (if it has been archived)? It would be great to see it – turn back the clock a bit!! 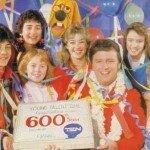 It is said that several editions of Young Talent Time(mark 1 – 1971/1988) were lost in an obscene act by the management of Austrama Television Ltd.(Station ATV-Melbourne) to erase several videotape reels of that show. (guestimate over 800 editions were lost, perhaps less, perhaps more). 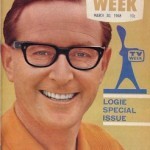 However, I’m sure that the late Kevin Lewis, and the still very-much-alive Johnny Young would’ve been astute enough to make their own back-up copies and store them elsewhere in Melbourne, well away from the archives of Austrama Television. If not, then I fear one of that show’s most golden moments may be lost forever. 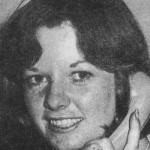 I speak of Sally Boyden’s performance of the Gilbert O’Sullivan-penned “Nothing Rhymed” during her first season on the show in 1973 when she was only 8 years old. 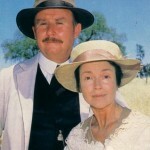 I saw the edition through Station NBN-Newcastle when it aired on Sundays about 5.00pm and was at least 6 weeks behind the Sydney/Melbourne screenings. Johnny Young, if you’re reading this, I sincerely hope you HAVE managed to preserve those precious editions from the show’s early pre-colour years. Further to my comment on the lost YTT episodes, I have come to the conclusion that ATV-Melbourne has violated the copyrights of Lewis-Young Productions, and later, Television House by their scrubbing of those 800+ editions of YTT Mk.1. 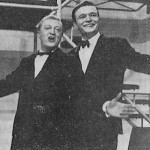 While ATV-Melbourne broadcast the show, and provided studio facilities for their production, the copyright for the shows had always been held by the principals of the two companies concerned, Kevin Lewis(deceased) and Johnny Young, for Lewis-Young Productions, and Johnny Young for Television House. They would never have ceded ownership of those copyrights to Austrama Television Ltd., owner/operator of Station ATV-Melbourne. Neil it’s probably not for you to come to that conclusion given that (I assume) you have no personal connection or affiliation to Lewis Young Productions, Television House or the Ten Network. In other words, you weren’t there so it’s not for you to judge. I came to that conclusion as an observer, and after several viewings of the DVD “Young Talent Time Tells All” at the point where Jon Bowles, the show’s host and executive producer, is standing in the archive room where he points to empty shelves where the missing YTT episodes had been stored. You are right, I have no connection with the show or any of its people, directly or indirectly, but I made those remarks as an observer and admirer of the show, remembering it fondly from its early days. 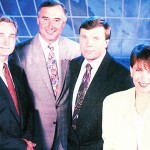 My comments about the demise of episodes of Young Talent Time(tapes wiped by Station ATV-Melbourne) would apply to any other show on any other network that might meet the same fate. Australian TV’s history is a precious thing and should be preserved by any means possible. 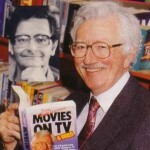 Classic shows like Homicide, Division 4 and Matlock Police, The Sullivans and Cop Shop, produced by Crawfords, are being saved as MPEG2 video files either on computer or DVD, or maybe saved as compressed AVI. Either way, these shows are being preserved. Crawfords owned, and still owns the copyrights on these shows, not the networks who screened them, and shall have the final say on the fate of these shows, likewise for any other production company and the show(s) they produced, Grundy’s, Television House, Southern Star, etc. If some, or all of these companies cease to exist at anytime in the future, or have ceased to exist, then the rights to the shows should pass to Screensound Australia(formerly the National Sound & TV Archive, not sure of correct original name). That organisation has all, or most of the necessary technology to render TV content to digital form, including vintage video playback machines of various formats, fully restored to working order(U-matic, Betamax, VHS, etc.). This way, we CAN preserve these shows so they can be made available via DVD for private viewing, or to networks for re-screening. Yes, and from what a friend tells me, they ain’t cheap! Anyone contemplating a purchase of any of these shows(in box-sets) will have to fork out at least 50 bucks!…. Ouch! $50 for a box set is probably not unreasonable these days. @Andrew M., If you’re referring to YTT(Mark.1), then yes, 800+ episodes of that show were indeed “junked” by ATV-Melbourne, for reasons only they know. 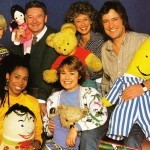 I’ll bet it caused some sleepless nights and a great deal of heartburn for Johnny Young, Kevin Lewis(deceased) and all the kids who were part of that show from 1971 to 1988, to see all their hard work and best performances blatantly scrubbed out by ATV. I wish some of the ex-members of the show would let us know their feelings through this website. I’m almost sure Andrew B., owner/moderator of Television AU would be interested as well. I don’t think it’s fair to just single out ATV10 or Young Talent Time. Truth is, the practice of wiping or discarding archived material was conducted by all networks and channels at various stages. Mostly because these programs were recorded on videotape which back then was expensive but could be re-used. 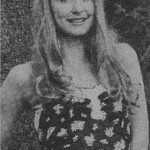 Many black and white programs have been wiped from the archives altogether simply because back in the 1970s there was no perceived future need for black and white program material. Very few people had the foresight to predict the potential market for such content. But there is one exception. 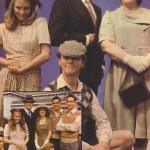 Crawford Productions have been quite prudent in maintaining program material from the old days and have been releasing certain drama titles on DVD via their website. 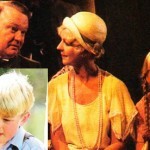 @Andrew B., I grant you Crawfords were prudent in preserving their shows. They could’ve been issued for sale on the emerging home video market via Betamax, the VHS tapes before we had DVD, or maybe they might’ve thought it was too soon back then and the market wasn’t quite ready for private copies of classic shows like “Matlock Police”, “Homicide” or “Division 4”. But such a market has now eventuated. Thus it was my original post expressed the hope that Lewis/Young Productions, later Television House, saw fit to follow Crawford Productions’ lead and preserve their own copies of their shows. 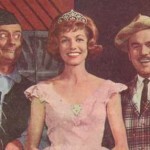 I cited an example of a moment in that show which is too precious to discard so wantonly, that being an 8-year-old(at the time, 1973) Sally Boyden performing the Gilbert O’Sullivan song, “Nothing Rhymed” Sally now lives and works in England, returning to Australia to see family and for occasional YTT reunions, among other reasons. I wonder if she remembers doing that song, I certainly remember it! I wonder if the powers-that-be at Melbourne’s HSV saved episodes of “Brian & The Juniors” on videotape? Probably not but it doesn’t hurt to ask. After all, if NBN was showing it they had to record it onto some kind of medium, be it videotape or film for distribution to other stations. Remember the rather twee intro and exit bit, sung by the kids themselves? 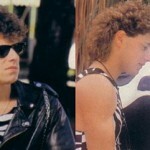 “We are the Juniors, Juniors, saying hello/farewell to you…. !” (Oh dear, I think I’ve just caused a few ex-Juniors out there to cringe a bit – sorry ’bout that!). 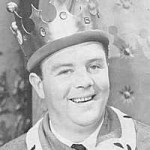 It was from this show that YTT drew its first 6 members, and its basic format, but with added elements, a guest performer, and the judges, initially Evie Hayes and a guest, but later Evie and Fable Records head honcho, Ron Tudor as a regular pairing, appearing after each New Talent contestant did his/her/their bit. 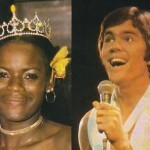 I don’t remember seeing any judging on Brian & The Juniors, thus I don’t know who he/she was or they were. Anyone got any info there? How ’bout you, Andrew? You might know the answer to that one. Not really. The shows were similar in concept but not related. As Andrew B. correctly states, Brian & The Juniors and Young Talent Time were similar in basic concept, however YTT took the concept further by having special guests(Johnny[as he was then] Farnham, Ted Mulry, Johnny Chester & Jigsaw, Sherbert, etc. 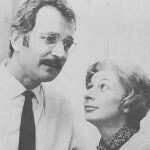 were all dead-keen to get on the show, especially after the demise of “Happening ’72” and its predecessors). 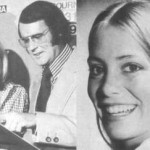 They also had regular judge, Evie Hayes appearing, usually after an ad-break which followed a New Talent contestant’s performance, to give her verdict, accompanied initially by a guest judge(Graham Kennedy was one such guest judge), but by about 1973 it was Evie paired with Ron Tudor, head honcho of Fable Records on a regular basis, I don’t recall the judges appearing on Brian & The Juniors, and that earlier show certainly didn’t have guest performers. 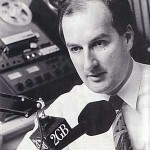 The first show started on radio as Swallows Juniors, moved to TV under that name, coming out of Station HSV-Melbourne. 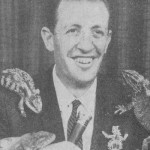 When the Swallows Biscuits sponsorship crumbled(pun very much intended), the show was renamed Brian & The Juniors, Brian Naylor was pretty-much entrenched as the show’s host anyway. 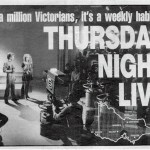 That show ended in 1970, then in 1971, YTT started on ABZAC Day eve(24th April), initially Melbourne-only, from Station ATV-Melbourne, going national later in the year, about the time the six-member “team” was expanded to eight, with Julie Ryles and Greg Mills joining Jane Scali, Debbie Byrne, Vicki Broughton, Jamie Redfern, Rod Kirkham and Philip Gould. Keyboard Gremlins Strike Again…..UGH! Should’ve been ANZAC, ended up as ABZAC. ‘B’ and ‘N’ too close together on keyboard. One slip of the finger and…. you know the rest! 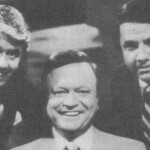 Martin, many regional stations picked the show up at various times through 1971 and 1972. 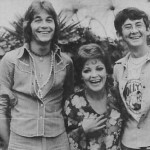 Some may have run from edition #1, the edition which launched the show on 24th April, 1971, only they would have screened it anywhere between 1 month and 1 year afterwards, depending on where they were in the chain of stations taking the show. NBN-Newcastle started around August/September of 1971 with Edition #1. As I’ve said elsewhere, I think I’ve said enough on YTT, apart from replies to others commenting on my remarks. Might I direct attention to the fate of the network consisting of TEN-Sydney, ATV-Melbourne and others, and their regional affiliates. I made the comment at the tail of the 2010-2019 Timeline page. Andrew(website owner/moderator), you might like to comment(here or at the 2010-2019 page), possibly you might have an update. Meanwhile, I think ABC’s Media Watch may have more on this in their 14th April edition. Well, I watched the edition of Media Watch for 14th April and there wasn’t much news on the likely fate of TEN/ATV/TVQ and other station in that network, except for the suggestion that Murdoch could get his grubby paws on it(worst-case-scenario) and that the ACMA would “roll over” and let the take-over pass(cowards that they are at ACMA) and that possibly, Malcolm Turnbull would further weaken the already lame cross-media ownership laws in this country in order to facilitate Murdoch taking it over and turning it into a clone of his slimy Fox network. Such is the out-and-out treachery of this government of, by and for the extremely rich, with not a thought at all for ordinary citizens, except how to gouge more money out of them. Are any still shots or video performances available of “The Victoria Banjo Club” appearing on Channel 9’s Tarax Show in the early 60’s ? I was a member of the VBC and have no photos of that time – would also love to catch up with any other members from that era. 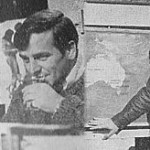 I appeared on a Channel 9 kids program here in Perth in 1970 as a 5 year old which I think was titled the ‘Channel Niners’ program that I have seen listed on this site. 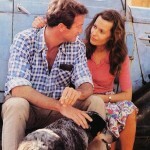 From what I remember filming occurred over a week or two at the Channel 9 studios. 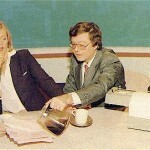 I have a clear memory of seeing myself on a broadcast episode some time later which was quite the event back then! Jenny Clemesha hosted the program and I can distinctly remember making a birds nest during an arts and craft session with a celebrity on one occasion. My 15 minutes of fame…. It seems that any vision will be long gone in a similar fashion to the various 1970’s programs discussed above but if anyone had any information or images they would like to pass on it would be much appreciated. 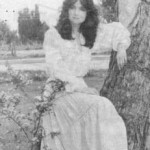 Hi I’m looking for an early bird show segment called “stars for a day” my friends and I were on it in 1986 would love to get a copy of it ?? Our skit was called “early bird show 100 years from now” if anyone can help or point me in the right direction it would be gratefully appreciated. Unfortunately your chances aren’t great. 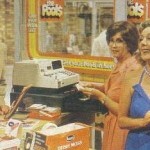 Many older TV shows have either not been archived or are not available for reasons of copyright. More information can be found here. 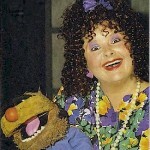 Hi, I was a reporter for a childrens afternoon show R.A.T.S which aired for 10-4-5a. I would love to see some old episodes. And catch up with the others from the team. 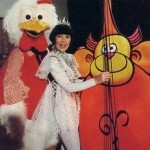 Hi around 1963, at WIN Television station, there was a live children’s program in the afternoons, I don’t remember what it was called ,but I do remember one of the characters his was called “Horrie”. 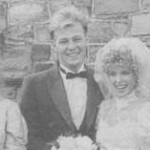 His real name was Ian Rolf, I was briefly his girlfriend I would like to be able to contact him if he is still alive. I would like to find out if there is any footage from of an episode of Saturday night live with Ernie Sigley around 1979. I was picked out of the channel 7 audience to spin the wheel. 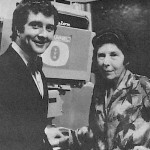 It was around the time Princess Anne was visiting Australia, that was the question I answered to win the prize.